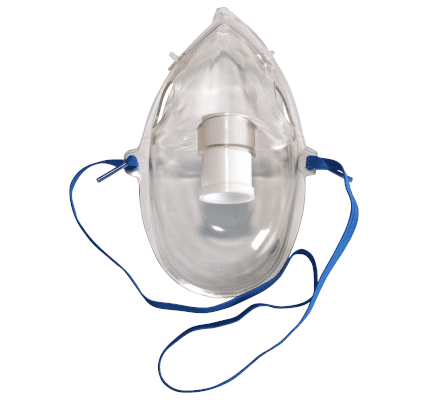 Under-the-chin aerosol masks feature soft, smooth vinyl and an adjustable nose clip and connector 22 mm, male. Adult and pediatric size available. Packed clean but not sterile.